Heart disease and stroke are two of the highest causes of death in America. High cholesterol can be a major cause of these. The Center for Disease Control found one in six adults in the United States suffers from high cholesterol. With America’s high rate of obesity and the large selection of fatty, unhealthy foods, it’s not hard to see why. While your body manufactures cholesterol, it also absorbs it from your diet. Trans and saturated fats boost bad cholesterol levels. The higher your cholesterol is, the higher your risk for heart attack. Researchers created medicines to combat this effect and lower cholesterol. But, there are remedies you can start today to fight your high cholesterol. Cholesterol is a lipid, a fatty, waxy element that is vital to cells. Cholesterol has both good and bad parts. When too much bad cholesterol enters the bloodstream, cholesterol sticks to the walls and narrows the arteries. This increases the chance of a stroke, heart disease, and other blood clots. Unfortunately, high cholesterol has no symptoms. The only way to check your levels of cholesterol is through a blood test. Age, heredity, weight, diet, and lifestyle all affect your risk for high cholesterol. If you do have high cholesterol, it isn’t the end of the world. The first step is to begin lowering your bad LDL cholesterol. Raising good HDL cholesterol can help remove LDL cholesterol from your blood. Medicines can help you do this, but many natural remedies are available as well. Here are several remedies to fight high cholesterol. While garlic can be a great seasoning to a dish, it also comes with health benefits. Several studies concluded garlic lowers your cholesterol when eaten in your diet or as a supplement. Each study examined eating garlic different ways. One used raw garlic, one used garlic powder, and another used aged garlic extract. The Journal of Nutrition published one study with participants who had high cholesterol. Using aged garlic extract, AGE, researchers sought to reduce their levels. The AGE effectively lowered the bad LDL cholesterol in the blood by 10% and total cholesterol by 7%. Researchers noticed the compounds in garlic blocked the production of cholesterol. They concluded this was the reason garlic affected cholesterol levels. The Journal of Nutrition published another study that found raw garlic reduced blood sugar and triglyceride levels as well as cholesterol. Science Direct published another measuring the cholesterol levels while subjects ate a high cholesterol diet. Garlic powder lowered cholesterol levels, even though participants ate a high cholesterol diet. The group who ate garlic also had lower blood pressure than either the control or no-garlic group. Unless you are familiar with cooking Indian food, you may not know this spice. Curcumin is a concentrated element of turmeric with all kinds of health benefits. Many generations used it as a healing herb for inflammation to reducing the risk of diseases. Studies have researched curcumin for a few decades in both animals and humans. One study done in 1991 found that curcumin lowered the amount of serum cholesterol in humans. It also mobilized the good HDL cholesterol. Another study in Molecular Nutrition and Food Research found that it lowered overall cholesterol. This benefit was largest over a long period of time. They also discovered curcumin’s ability to suppress early atherosclerosis. Atherosclerosis is the shrinking and hardening of arteries because of plaque build up. Yet another study from Science Direct confirmed a supplement of curcumin reducing cholesterol. Not only did it reduce cholesterol, but stopped LDL cholesterol from becoming free radicals and causing cell damage. It further concluded that a lower dose was actually more effective than a higher one. Nuts are more than a crunchy snack. They are important for your body and contain healthy fats your body needs. Nuts can also lower your cholesterol. Who needs more reason than that to eat more peanut butter? Several studies show eating a diet high in nuts can significantly reduce your cholesterol. Two studies found that a diet with nuts helped in reducing cholesterol. Nuts contain healthy monounsaturated fatty acids, which cause this benefit. Walnuts reduced LDL cholesterol by 10% and total cholesterol by 7%. The other study found their diet more effective at lowering cholesterol than the American Heart Association step II diet. A review of ten studies on different nuts confirmed this benefit. Total cholesterol decreases ranged from 2% to 16%. LDL cholesterol reductions ranged from 2% to 19%. They concluded a healthy diet with a couple servings of nuts five or more times a week lowers cholesterol. Fiber is an important dietary need for your body. New research is showing that a diet high in fiber can even lower your total and bad LDL cholesterol. Many foods contain fiber, but some have more fiber than others. The best fibrous foods are beans, acorn squash, chia seeds, chickpeas, raspberries, collard greens, and broccoli. In one study, researchers wanted to see if eating a normal amount of fiber could reduce your cholesterol. If a subject were to have a bowl of oatmeal a few times a week, would that be enough to affect their cholesterol levels? They discovered a high fiber diet lowers your cholesterol levels within a practical amount for eating. Another study measured the effects of soluble dietary fiber on the lipid levels in the blood. They found fiber reduces your cholesterol, even on a low saturated fat diet. For those who eat a low cholesterol diet, you still continue to lower your cholesterol levels with fiber. 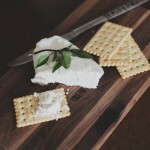 Resveratrol may not sound natural, but it is actually found in a lot of common foods. It is an antioxidant in red grapes, peanuts, dark chocolate, berries such as blueberries, pistachios, strawberries, and even red wine. Resveratrol reduces the risk of many age-related diseases and activates longevity genes. Researchers found resveratrol can transport cholesterol out of the bloodstream. It also reduces the influx of cholesterol into the blood. As an oxidant, resveratrol stops cholesterol oxidation to prevent cell damage. Resveratrol makes platelets, triglycerides, and cholesterol less able to stick to blood vessel walls and build up in the aorta. One study focused on resveratrol and its ability to lower cholesterol. Resveratrol reduced bad cholesterol in all the subjects with high cholesterol and triglycerides. It also lowered triglyceride levels. Taken as a supplement or in your diet, omega-3s have shown many health benefits. Fish is a great source of omega-3 fatty acids, especially fatty fish like salmon. People on a Mediterranean diet or Inuit Eskimos have low levels of LDL cholesterol with high levels of good HDL cholesterol. Eating fish could be the reason for this. Fish oil contains two omega-3 fatty acids that help reduce the risks of heart disease. Two major risk factors for heart disease are high cholesterol and high blood pressure. Omega-3s reduce these and thus reduce the risk for heart attacks. Omega-3 fatty acids are a polyunsaturated fat. Research shows polyunsaturated fats lower your bad LDL cholesterol. Omega-3s also give you an extra benefit by slowing the build-up of plaque in your arteries. Diet is important in every fight to be healthy. Your diet affects what nutrients your body receives. Trans fat and saturated fat raise your cholesterol levels. Processed foods can also have hidden trans fat and saturated fat. When creating your diet, cutting out saturated fats and trans fats is a great first step. The U.S. Department of Health and Human services explains different fats in their guide. Saturated fat hardens at room temperature. You can identify it on fatty cuts of meat, whole-milk dairy products, and some vegetable oils. Hydrogenated vegetable oils create trans fat. Trans fat comes in margarine, shortening, bakery products, and fried foods such as french fries. Trans fats can appear in unexpected places which makes it so important to check labels. Unsaturated fat comes in two forms: monounsaturated and polyunsaturated. Unsaturated fats help your body function, but you only need small amounts of them. You will find them in most vegetable oils, olives, many types of nuts, avocados, and fatty fish like salmon. The American Heart Association suggests that when cooking or buying food, stay away from fatty meat and drain the fat before eating. Increase your daily intake of fiber and whole grain. Replace the oils in your baking with pureed fruits or vegetables such as bananas or zucchini. It’s a great way to increase your veggies and fruits. Use spices to replace oils, butter, and some salt when cooking. The protein in soy contains isoflavones, a plant derivative that benefits the body. Soy isoflavones show promise in breast cancer prevention and increasing bone density of postmenopausal women. Research also found evidence that soy isoflavones lower your cholesterol. According to Harvard analysis, consuming a couple servings of soy a day can reduce your LDL cholesterol by 5% to 6%. You should drink about two and a half cups of soy milk or eat ten ounces of tofu every day to get these benefits. Replacing meat proteins with soy protein is a great way to knock out two birds with one stone. You get the nutritional benefits of soybeans while also cutting back on saturated fats. The National Center for Complementary and Integrative Health recommend eating soy instead of other proteins to lower your bad cholesterol. Exercise has long been assumed as a great way to reduce bad cholesterol. But only recently have studies shown why and how exercise works. Previous studies focused on both diet and exercise, which made it impossible to figure out the individual effects of exercise. One group published three studies in the New England Journal of Medicine. All three focused on how exercise affects your cholesterol. They discovered that diet and exercise together lower your bad cholesterol by 14% to 20%. Exercise alone also increased good cholesterol by 13%. This effect offsets the lowering of HDL cholesterol in low cholesterol diets. Research shows exercising mobilizes the enzymes that remove LDL cholesterol from the blood. LDL transfers to the liver where it becomes bile or is excreted. Exercise also links more lipoprotein particles to make small LDL cholesterol into big particles. This stops LDL cholesterol from slipping into the blood and clogging arteries. Chronic and acute stress may raise your cholesterol levels more than you realize. Stress raises blood pressure, causing plaque to build up in your arteries and raising your risk of heart disease. Research shows that it can also directly affect your cholesterol levels. A study from University College London showed even a short stressful episode can boost cholesterol. Using a stress test, they measured the stress levels and cholesterol levels. The participants who scored high in stress also scored high in cholesterol. Researchers discovered that it was not only the act of stress but the way you handle the stress that raised these numbers. One of the best ways to reduce stress is to focus on your breathing and breathe deeply. Laughter can also relieve stress. Relaxing and spending time unwinding from a busy day is especially important. This gives your body a chance to release all the tension instead of allowing it to build up into chronic stress. 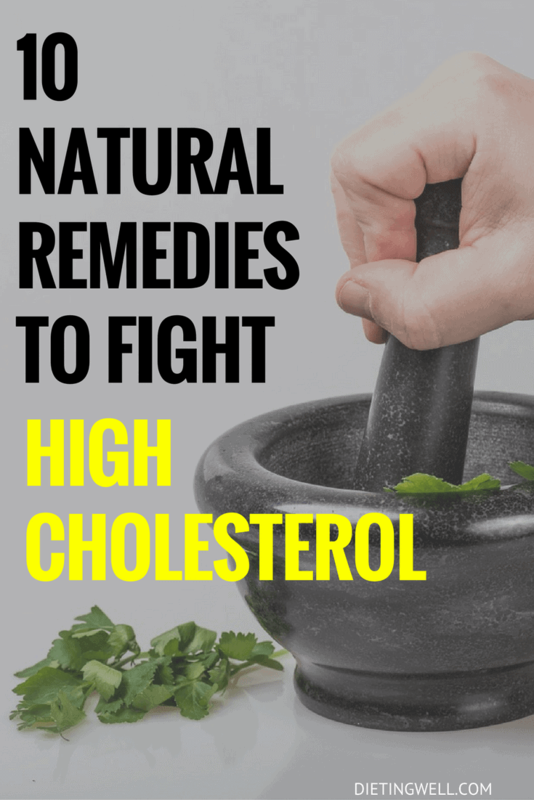 Many natural remedies fight high cholesterol. Using these suggestions will lower your bad cholesterol and raise your good cholesterol. High cholesterol is not a battle you can’t win. You can get your levels back under control and lower your risk of heart attack or stroke. You can use supplements, lifestyle changes, and different foods to lower high cholesterol. Most of these remedies will cost you much less than prescription medication and have fewer side effects. By combining these methods, they will prove more effective at lowering your cholesterol. But, you should always speak with your doctor before making any lifestyle changes or adding supplements. Start reducing your high cholesterol with these simple natural remedies today. What’s the Difference Between Good and Bad Fats?